Sixty Days later and Venezuelans by the tens of thousands are out in the streets marching on April12, 2014 for the future that they want. The march was organized by the student movement. What sparked these protests that have gone on for two months: violence and insecurity in Venezuelan society and the government's response which has involved shooting and torturing students. Mildred Manrique: "Opposition march to Plaza Venezuela #12A 1:06pm"
On February 12, 2014 a national youth day in Venezuela student protesters were shot in the head and killed by government agents. 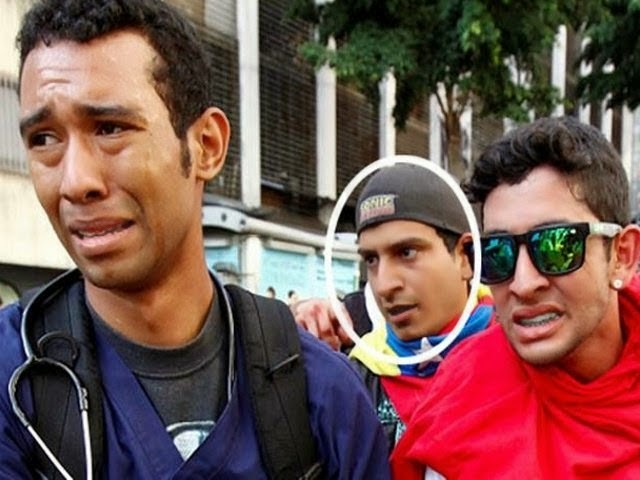 Robert Redman, Juan Montoya (Juancho) and Bassil Alejandro Da Costa were all extra-judicially executed by collectives and officials of the Bolivarian Intelligence Service (Sebin) in an effort, apparently to use terror, to shutdown the nonviolent student marches. Juancho, a member of a collective was caught in crossfire and killed by a government functionary. Others were tortured and one of the young detainees was raped with an assault rifle. The death toll now in the political protests is above 40 and scores of Venezuelan students have been detained and some disappeared. Sixty days later and the question raised by Robert Redman still moves many Venezuelans. Robert Redman, in the picture above carrying shooting victim, Bassil Alejandro Dacosta on February 12, 2014 was himself shot in the head and killed later that same day in Caracas but not before tweeting: "Today I was hit with a rock in the back, a helmet in my nose. I swallowed tear-gas, Carried the kid who died, and what did you do?" He was 31 years old. 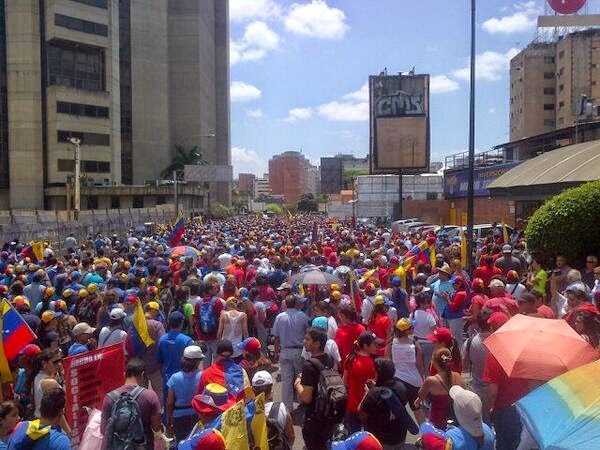 The struggle for freedom and justice continues in Venezuela using nonviolent means. History has demonstrated how effective this method can be and Venezuelans are writing a new chapter today. Please take a moment to do your part and sign this petition.